1 port PoE Extender and mount kit. 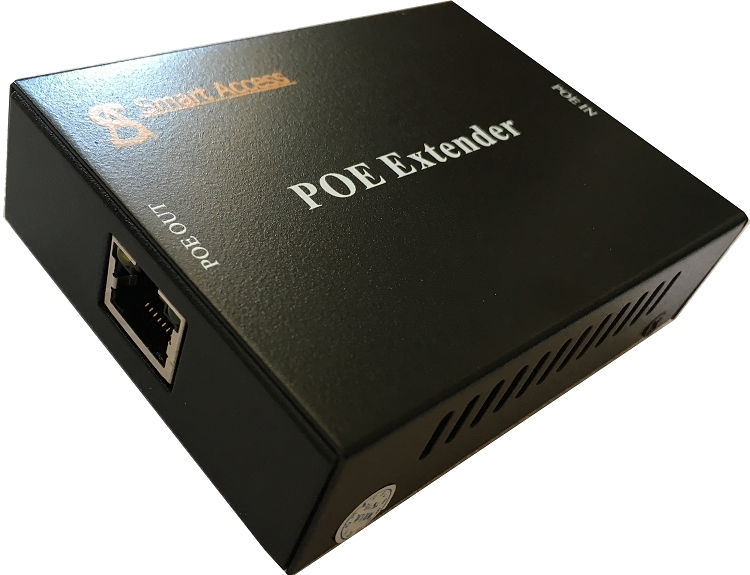 PoE Extender SA-EX1 have 2 10/100Mbps RJ45 ports, PD port and PSE port. PD port 10/100 BASE T(X) IEEE802.3 at compliant and max power is 25.5W,PSE port 10/100 BASE T(X) IEEE802.3 af compliant and max power 15.4W. PoE extender transfer data and supply power by CAT5e/6 UTP cables, the max distance is 100meters. 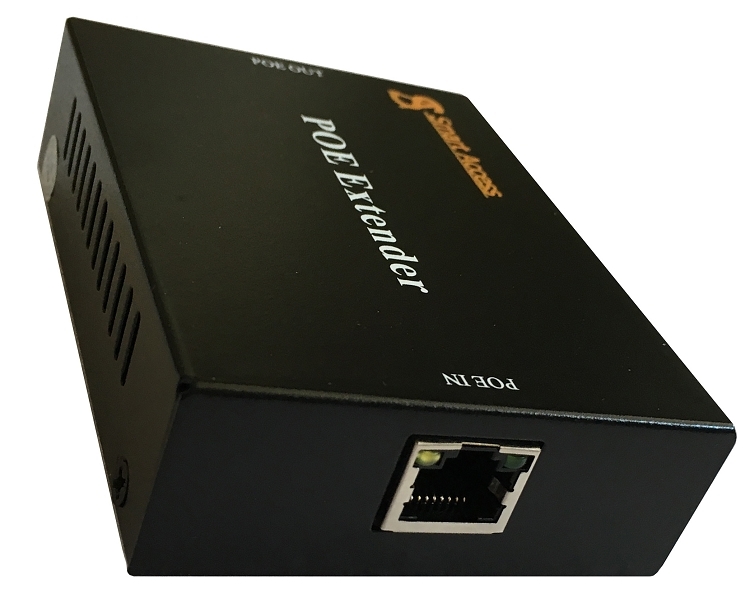 The PoE Extender delivers PoE power over the first 100 meters to the SA-EX1 over CAT5e/6 UTP cable, and then the SA-EX1 forwards the Ethernet data and remaining POE power to the PoE IP camera. It does not require an external power supply and can be installed easily by just plug and play, that means the operator does not need to configure the SA-EX1. 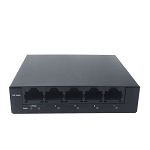 It is a newly designed and simple device which extends both the reach of Ethernet Data and Power over Ethernet over the standard 100m (328 ft.) CAT5e/6 UTP cable to 200m, 300m or longer distance.